The art deco rundown was incredibly popular and as a result, we have been asked to do some more along the same lines. 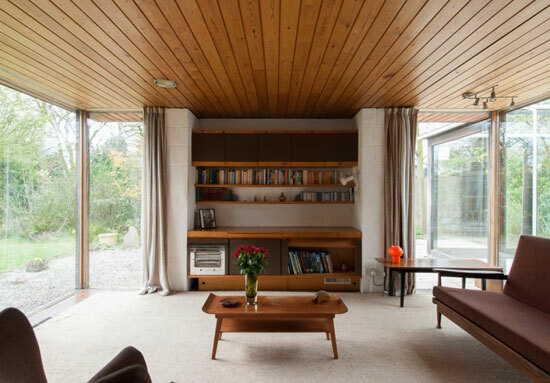 So we have, kicking off with our 30 most popular 1960s UK modernist house finds. As ever, the listing is in reverse order. What a gem this was. Connected to a local churchyard (so perhaps once connected to a church), it had a great midcentury modern look both inside and out, as well as an acre of land. The latter probably not that common in a major city. Refurbished, but still with plenty of character. 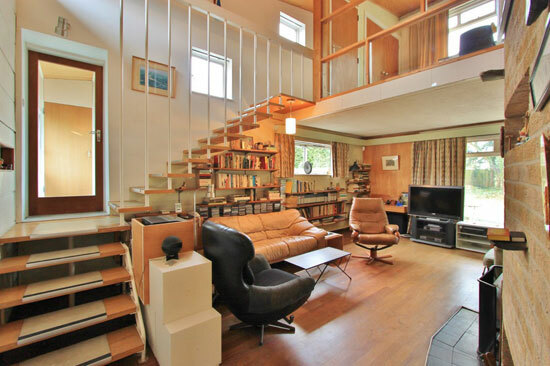 This is a single-storey property with a living room that really does jump off the page. Love the fireplace in there. Elsewhere, a mix of the old and the new, with enough old to keep it interesting. A Segal in N6? Of course we were interested. So were you it seems. Not a time capsule, but much of its character survived, right down to the wood and brick finish within. SW19 usually means tennis. 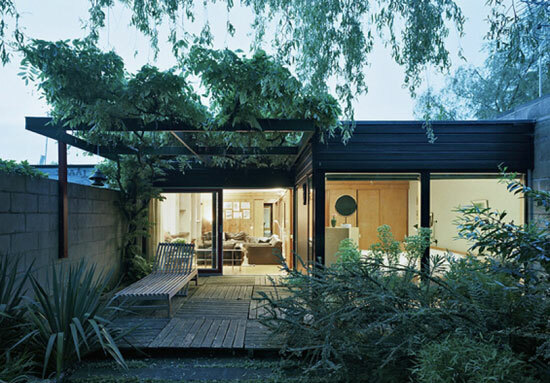 To us it means an architectural gem by Peter Foggo. The postcode meant this Mies Van Der Rohe-inspired prepare didn’t come cheap, but decor aside, it was pretty much modernist perfection. 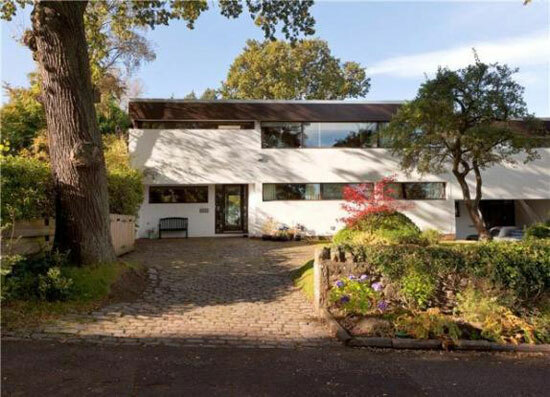 Scottish modernist houses are always popular, perhaps because prices are often more affordable than than further down south. 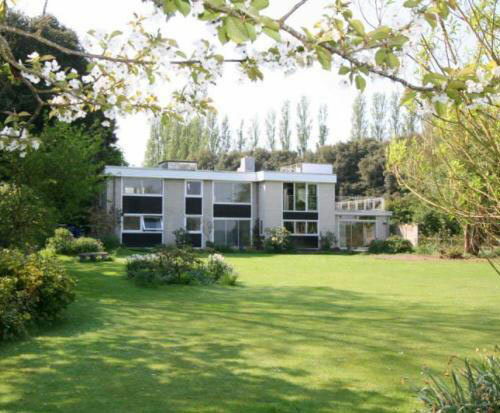 This one had the land, the architectural presence and an interior largely untouched over the decades. 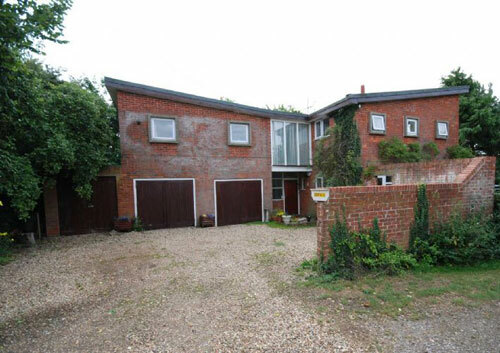 Amazingly, offers were around £400k for this place. Funnily enough, I spotted the listing for this place again yesterday. Yes, it is still up for sale. 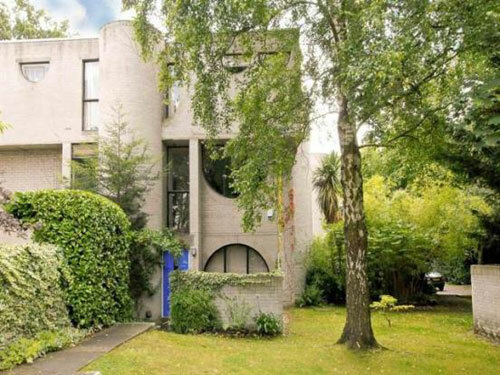 That’s perhaps because this stunning modernist / brutalist property has an eye-watering price, which is hardly surprising in light of the postcode. But it is a joy to behold. I’m always blown away by this place, it just looks so unique. 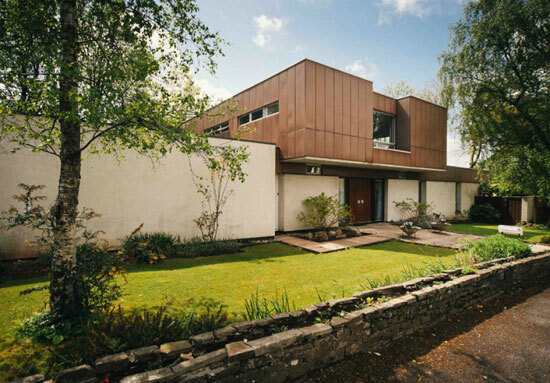 That’s because it is, being built around a steel frame and clad in Cor-Ten, a steel alloy that weathers naturally to a beautiful dark rust colour. It needed a full restoration apparently, despite looking like the ‘60s dream. I view this as the one that got away. 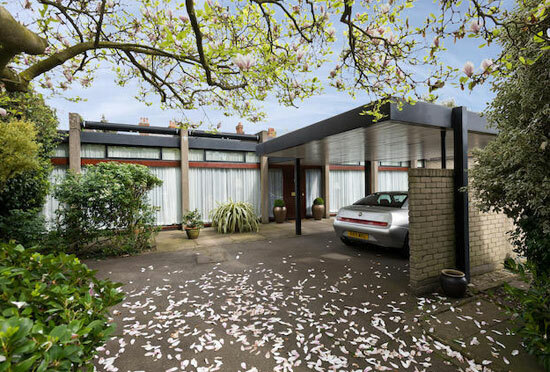 It sold of course, but that perfect 1960s interior was lost. We saw images of the furnishings and detailing ripped out after the sale. Shame really, this could have earned a living a TV or movie set. I didn’t actually recall this one when it appeared in the list. 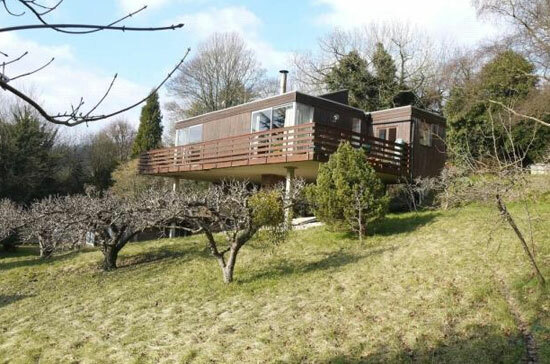 But I can see why it made it, A distinctive property laid over two floors, with a wraparound balcony offering views over what is a substantial plot. Needed some work, but worth the effort. Amazing to think this place was far cheaper than a flat in the Barbican. 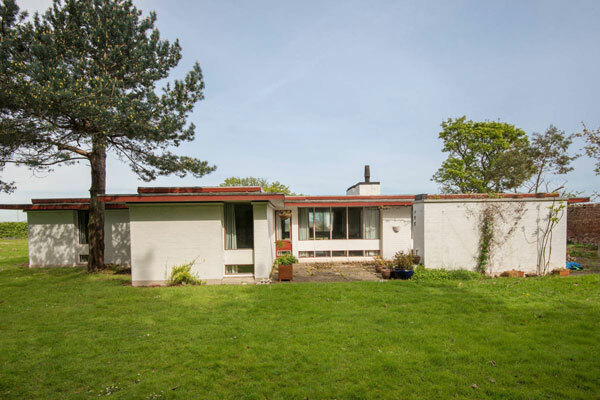 Of course, the commute might have been an issue, but if you were able to survive outside ‘the city’ (or could work in nearby Edinburgh), this untouched and spacious 1960s modernist property could have been ideal. As you might have guessed, houses that retain their originality proved popular. This is another example. In fact, one of the best. 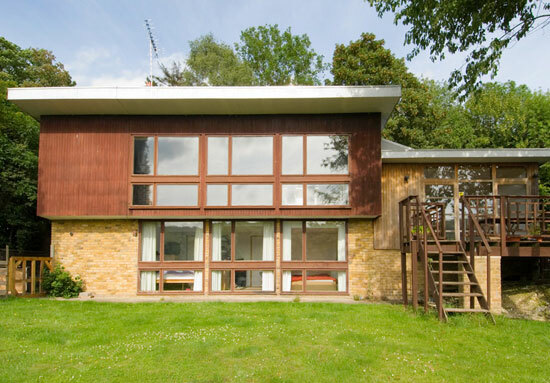 One of six Scandinavian-influenced (and award-winning) houses on the site, this one untouched since 1968. The perfect opportunity to live in the era. For many people, this is living the dream. Us included. 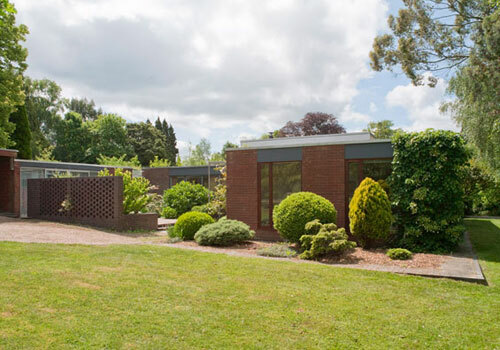 Described by English Heritage as the ‘leading English manifestation of the courtyard house’, this one retained much of the original character, but still looked like the perfect modern living space. A testament to the men behind it. 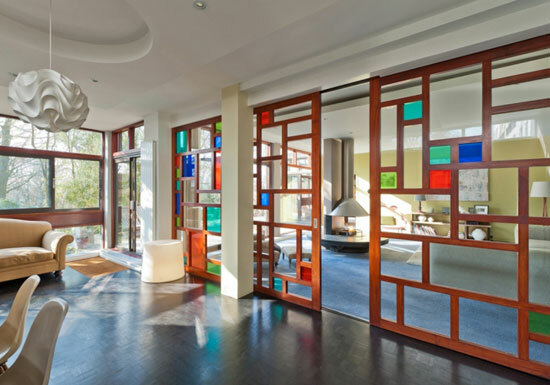 Designed by local architect Robert Harvey in 1969 and taking inspiration from Frank Lloyd Wright, this place was renovated more recently, but is still incredibly striking. That’s down to the exterior, built into a hill and definitely a house to look twice at. Perhaps even three times. 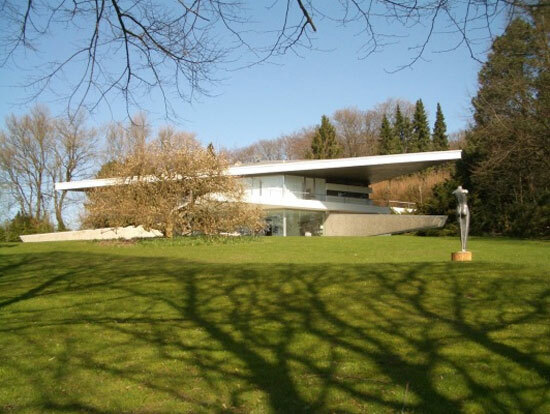 Inside is contemporary rather than period, so whether that appeals is down to personal taste. We hoped this place survived. If it did, please let us know. 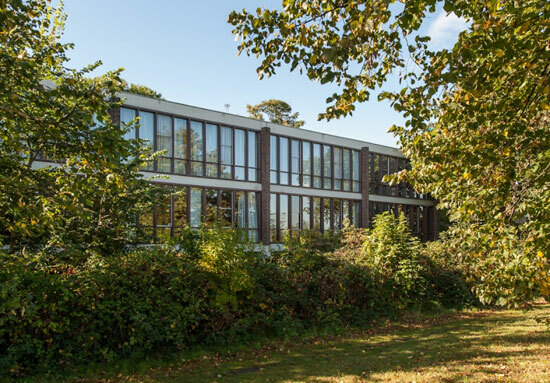 But when it appeared for sale back in 2013, there was talk of the sought after location and planning permission, as well as a lack of internal shots. Basically, we weren’t hopeful. 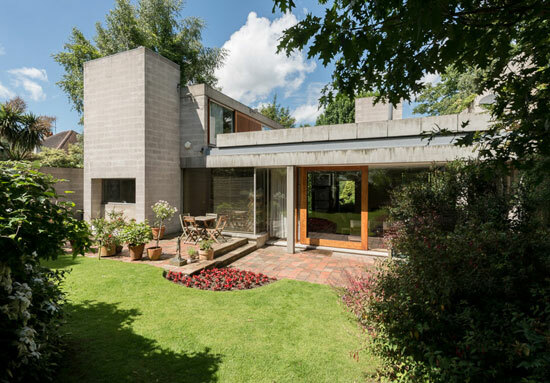 Described as ‘an important and rare example of a modern steel house by a key architect’ by English Heritage, this is something very special. It’s a mix of good preservation and well considered upgrading too. Yes, this isn’t original, but the architect oversaw the additional building and the extra space is clearly defined. Very stylish. 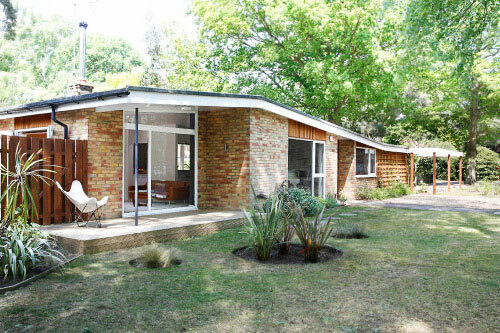 Not far from central London and well maintained / restored. Of course if was popular. 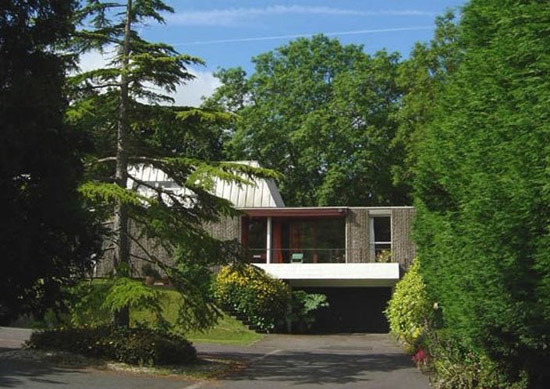 This was actually the house that Kirsty MacColl grew up in, which adds to the star quality of the architecture itself. Updated as we said, but without a loss of integrity. Our sole apartment on the list. Some apartment it is too. 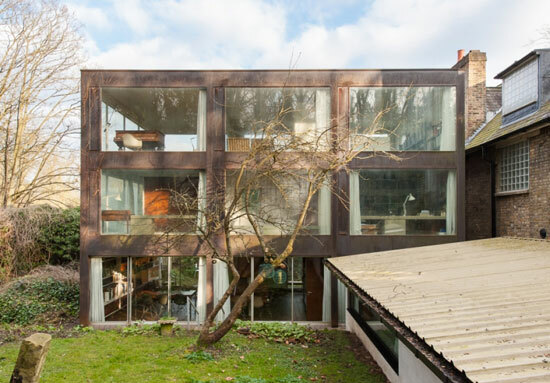 Copper Beech block was designed and built in 1961 by Dinerman, Davison & Hillman, a renowned firm of north London architects, with this apartment designed for American film director Samuel Wanamaker. 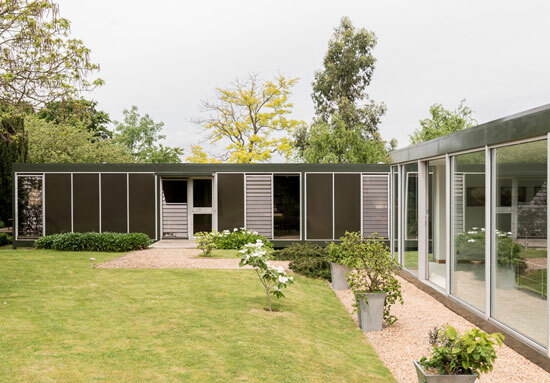 Space, your own garden and so much original detail, including the stunning room dividers. This was a lovely and interesting renovation. Part of the estate used in Francois Truffaut’s 1966 movie adaptation of Fahrenheit 451, this ranch-style property underwent a complete renovation, going from unloved to stunning in a few short years. 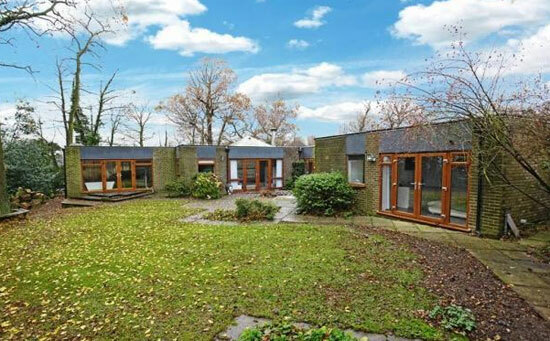 It really was too, with this award winning property untouched since being built in the 1960s. It went up for auction with a guide of around £240k. This one has been up for sale on a few occasions, with no shortage of takers each time. Hardly surprising. 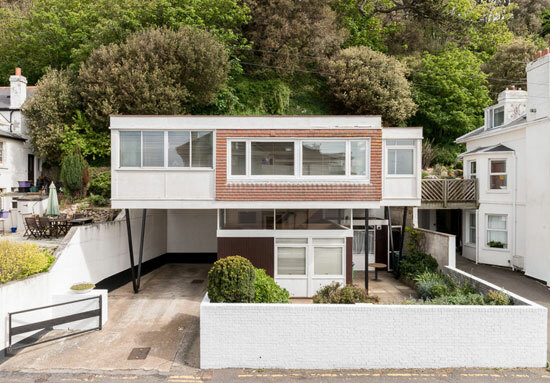 A lovely slice of raised midcentury modern, with original details galore and sea views. If you like it, I’m afraid it has just sold again. 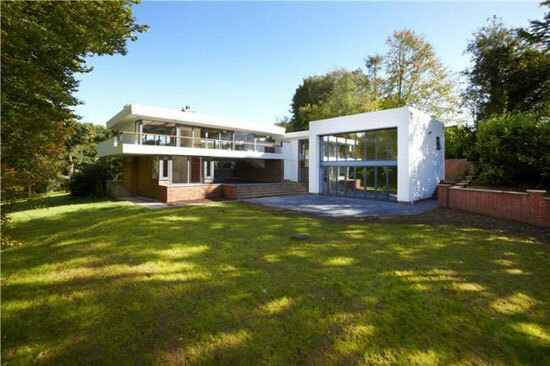 The architect features regularly on these pages, usually for his Esher properties. Not this time though. 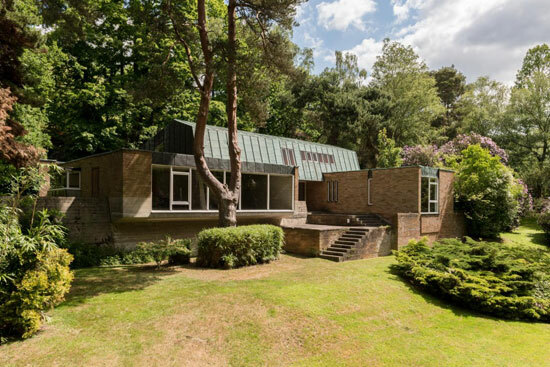 This was a London property, one of several high end modernist builds of the day, with this one apparently ‘House of the Year in 1969’. Updated, but the original design survives pretty much intact. This really is something special. But not cheap. 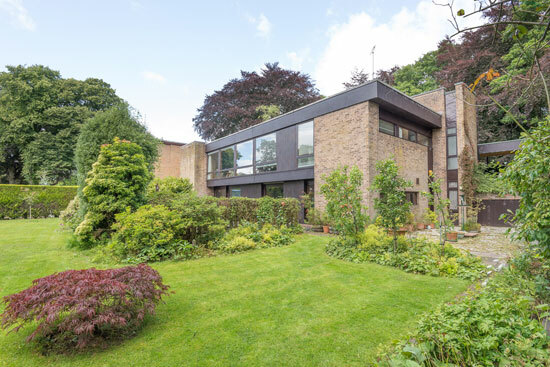 Grade II-listed and a first time on the market, this place is untouched, still with the original cantilevered living room, the ‘boardmarked’ concrete and the copper mansard roof plus the original fitted cupboards and cantilevered red cedar sideboards created for this property. I have find memories of this area from my university days. I don’t recall this house though. So much space, plenty of original style and that exterior? Well, that stops you in your tracks. This might not have made the cut but for the famous association. 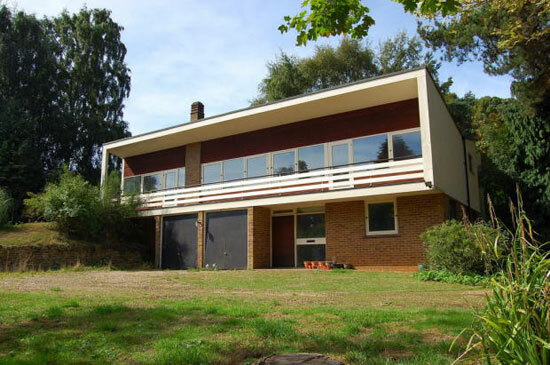 Commissioned for Francis Bacon back in 1960, it does of course have an art studio, although that was converted into living space by a subsequent owner. Easy to change back though, should you feel an urge to paint. One of those developments you love or hate. Always popular though,. 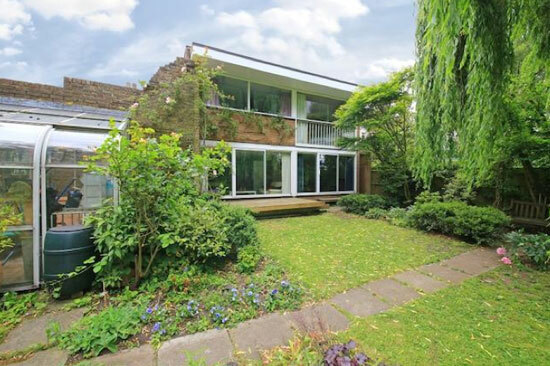 This is one of 32 similar properties, with this one updated, but still with something of a ‘60s vibe within. A recent listing, it might well still be up for sale. In fact, I’m pretty sure it is. 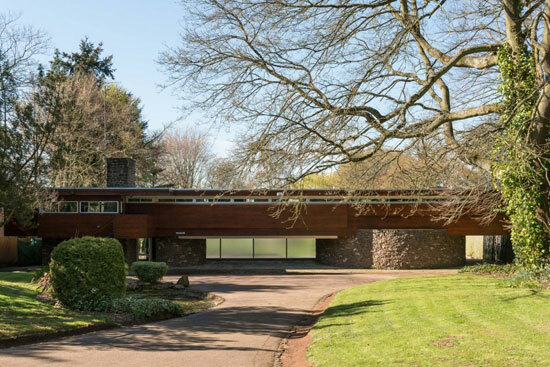 A grade II-listed property inspired by the work of Frank Lloyd Wright, it is pretty much untouched in 50+ years. This is the movie location you are looking for if you are planning a futuristic 1960s flick. 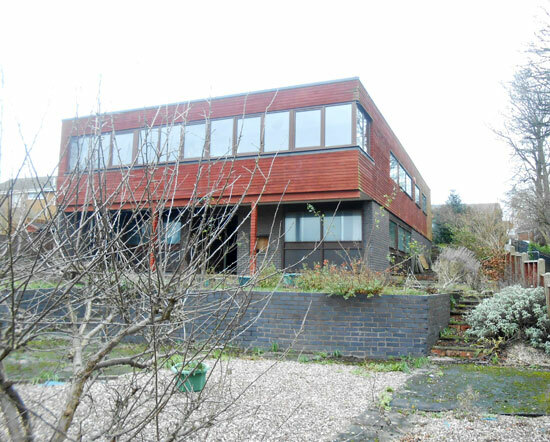 A B-listed property from 1963 and perfect if you are looking for something interesting neat Edinburgh. Updated and extended over the years, but the free flowing space still has enough of the ‘past’ to keep it interesting. I remember when we got a top off about this one. I knew it would tick all the boxes for you. 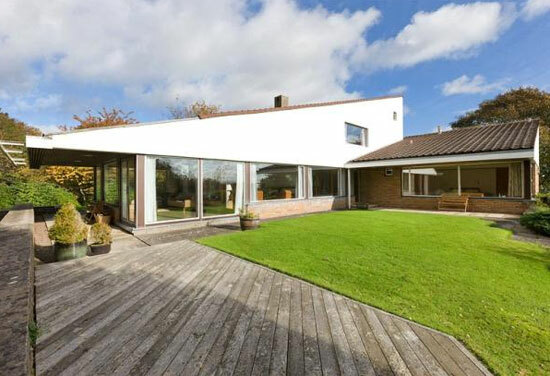 An interesting design, never previously on the market and little change from 1968. Another that was pitched for renovation or redevelopment, we hope the former happened if preservation wasn’t possible. The only thing that surprises me here is that this place isn’t at number one. 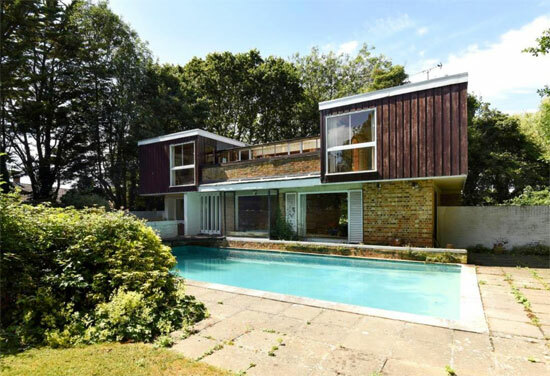 When we featured it, the house was still owned by the family (it was built for Richard Rogers’ parents) and on the market for the first time. It never actually sold. 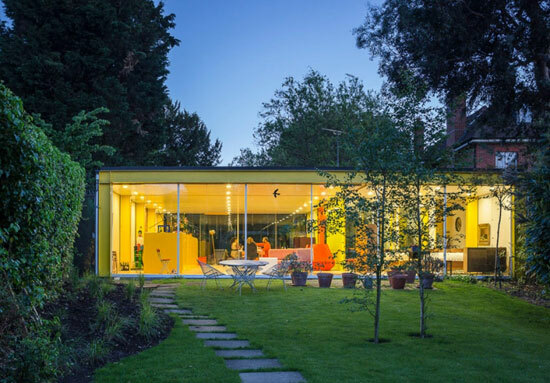 Richard Rogers gifted the Wimbledon home to the Harvard Graduate School of Design. Surprising number one? Possibly. But it goes to show how price can have an impact on popularity. 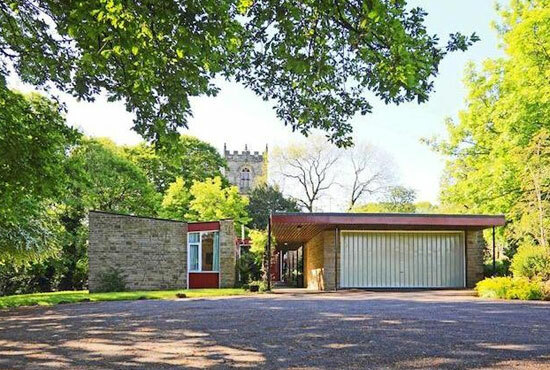 This house was the work of renowned architect Peter Aldington, built this for a close friend in 1967 and incredibly well preserved. The downside was perhaps geography – if you needed to be near Doncaster, that’s fine. But if not, you might have ended up with a long commute from your dream home. But there is that price. This place was marketed for £295,000. It might even have sold for less.